Write me–I mean Call me–er text me! Those familiar with this blog know I also teach college, both undergrad and graduate, and this past weekend I finished reading a grad student’s thesis. It’s a young adult urban fantasy, quite inventive, and intrinsically reflective of the everyday life and culture of modern youth (as long as that youth is also a witch, a werewolf, or a supernatural of the author’s own fabrication). The piece was written by a young adult, though not as young as the protagonist, but still young enough to be fully vested in the reality she was presenting. And because of that, I was struck by one thing which has definitely changed since I started writing many years ago–how much our plot devices have been changed by our modern devices. 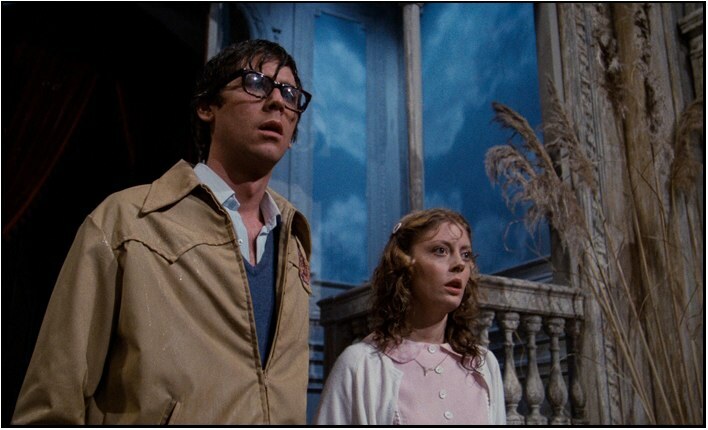 Think about the plot of the underground classic Rocky Horror Picture Show–a young couple’s car breaks down on a back road in 1975. They have to walk to a house so they can phone for help, thus entering into strange environs where hijinks ensue. But everyone has a phone now, so they’d just call AAA or Roadside Assistance and wait in their car until the tow truck arrives. Or in 1969, when Claire of Dragonfly in Amber needs to find a copy of the Fraser’s deed of sasine. She must travel to Scotland and ask a county clerk to research it for her. These days, she would simply do a Google search, and locate the county website, communicate through the county portal or email the clerk directly. And how long would a modern Jane Eyre have to wait to find out about the mysterious Mr. Rochester? Seconds via another Google search, or maybe go right to LinkedIn or Facebook or Twitter, or even TMZ or eOnline, hoping whatever trash-talk site of the week has covered he and his latest arm candy, the big player that he is. So how do we work around these new solutions to old plot twists? How do we throw the wrench into the mystery or the romance, tossing a roadblock into the long, complicated trail that leads to our story unraveling? Damned if I know. But what I do know it’s got to be more than just the phone’s battery dying, the lack of hotspots or WiFi, the profile erased, or any other iteration of deus ex machina. It’s going to take a work-around of creative proportions. Maybe the tow truck arrives is haunted, the deed of sasine has been destroyed in a conflagation, or Mr. Rochester is actually a woman. It doesn’t matter. Just as long as it’s so fresh the pages start turning by themselves. I really enjoyed hearing your thoughts and observations on the shifts in how technology appears in written works. Thank you!